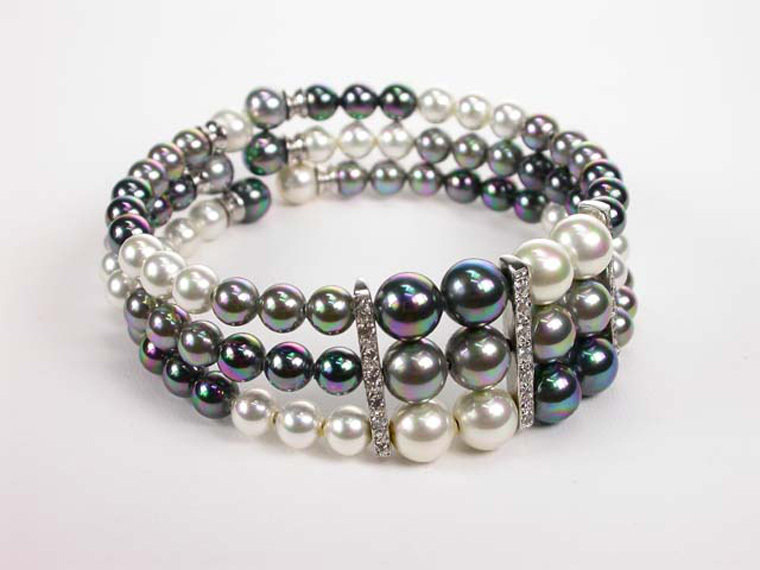 A magnificient Bracelet in 3 rows of White, Grey and Black 5 and 10 mm. 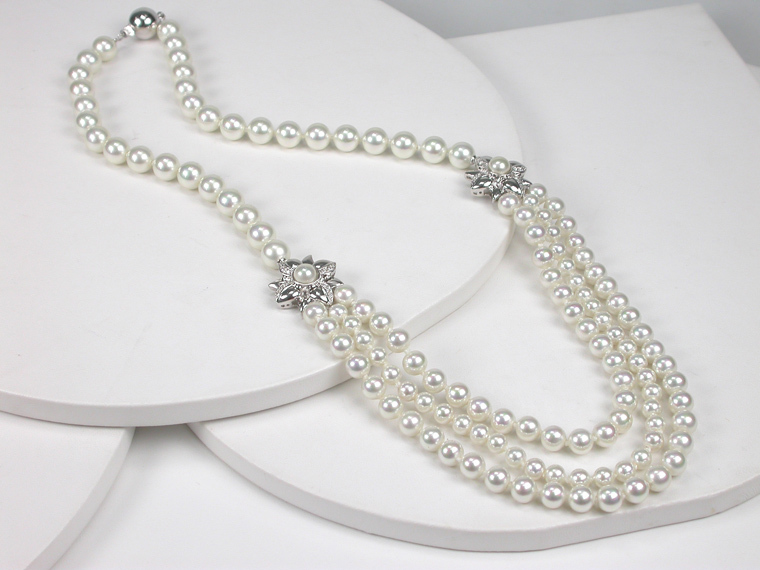 Pearls, separated by Sterling Silver bars with sparkling Zirconias transmitting light and elegancy. 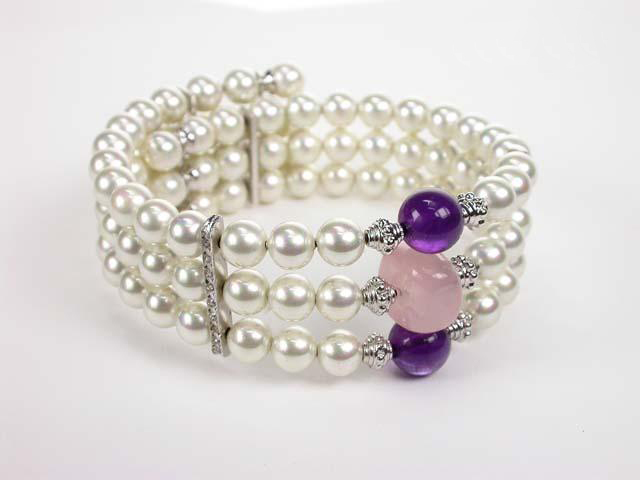 The Bracelet is semi rigid and adaptable to all sizes. 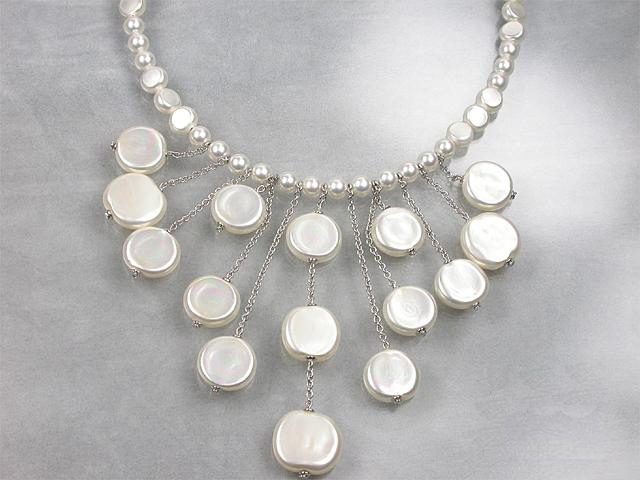 Highlight your feminine Elegance with this spectacular necklace of Mother of pearls subtly linked by a Sterling Silver Chain. The chain on the claps gives you the option to adjust the length from 40 to 48 cm., so that it will perfectly suit your neck! A Necklace that gives you the option to change Style according to the occasion! ; half the Necklace is a Classic 7 mm. 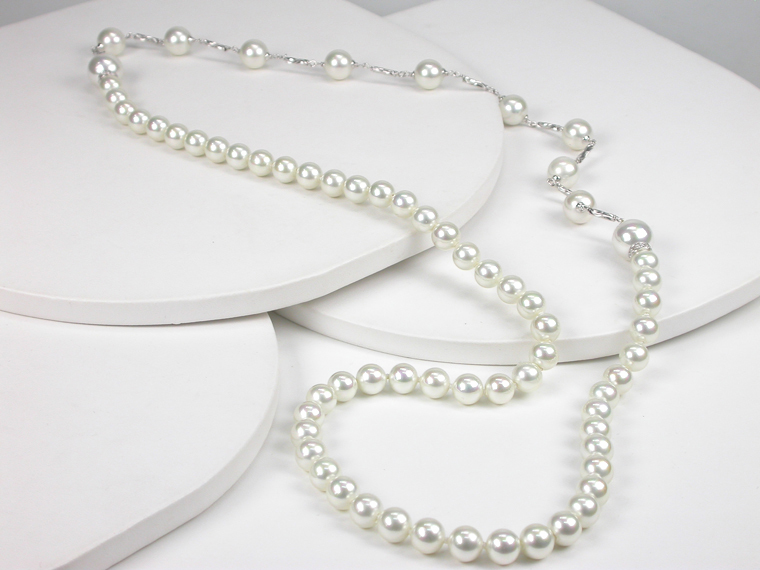 Pearl Necklace and the other half is in a more Modern Style with 10 and 12 mm. 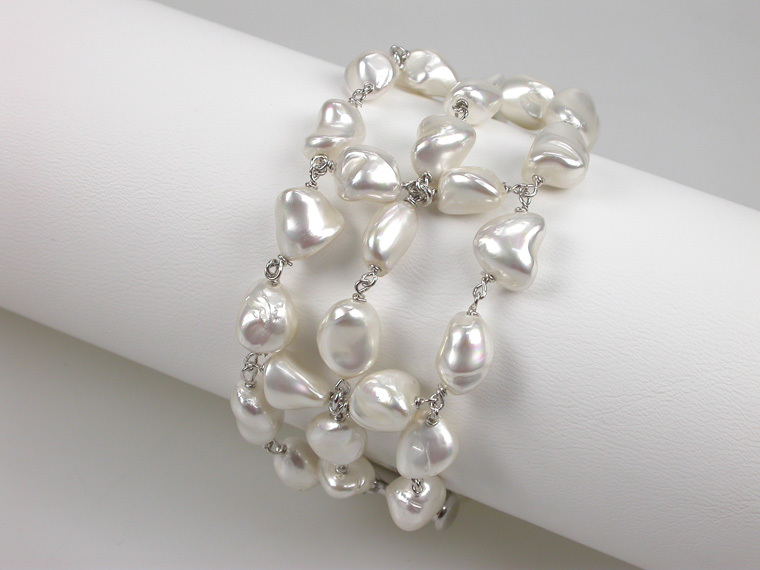 White Pearls linked together with delicately engraved Sterling Silver tubes. The length of the Necklace is 80 cm. 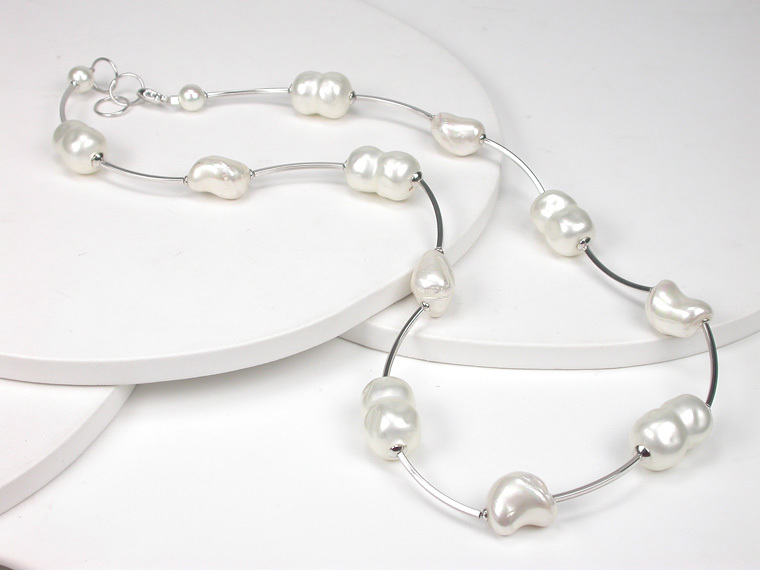 Very original Necklace, perfect for a special evening, that combines 6 mm. 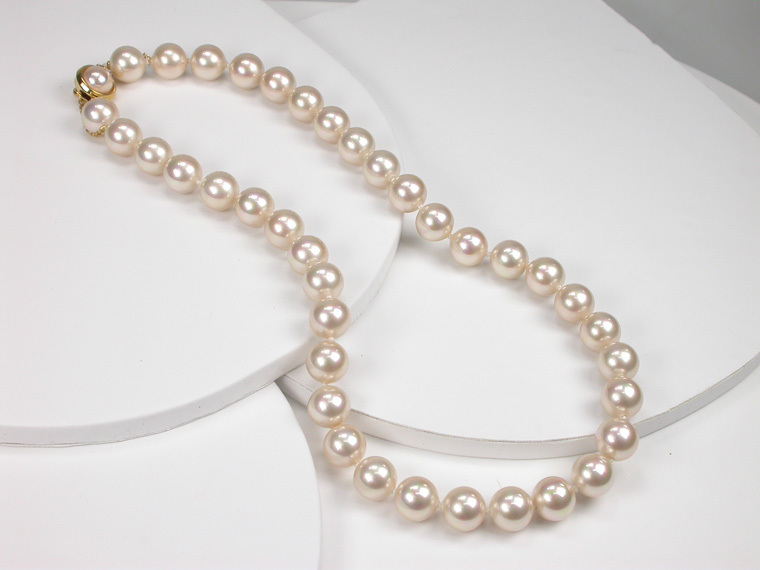 round Pearls and flat pearls in 8 and 15 mm. with an adjustable clasp in Sterling Silver that permit you to perfectly suit it to your neck regulating the length from 40 to 48 cm. Lovely and unique Necklace with Mother of Pearls in different shapes and sizes and Rose Quartz linked together by Sterling Silver rings. 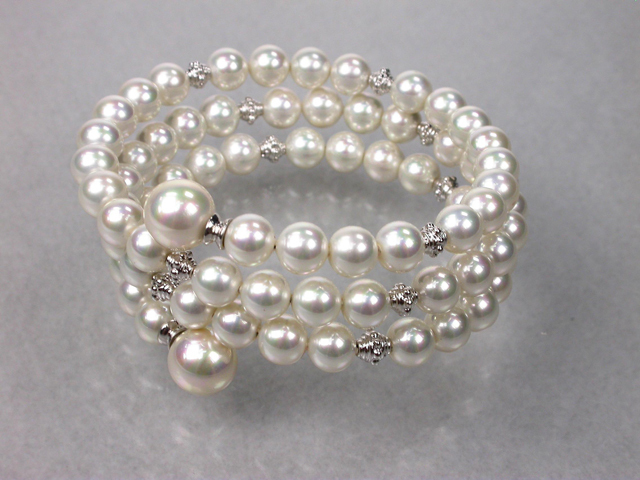 45 cm long, but thanks to the rings at the end of the clasp, it can be adjusted to get the perfect length for your dress. 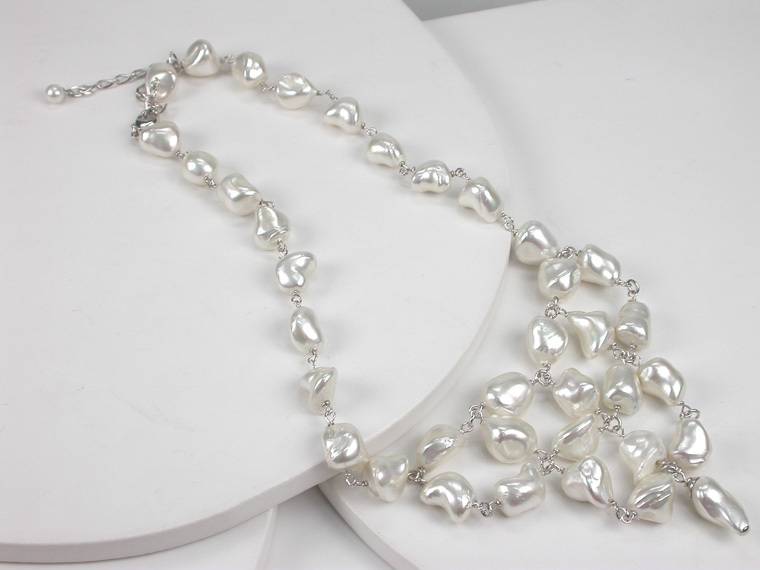 The perfect necklace for romantic and dreaming women! Pearls in 5, 6 and 8 mm. with 2 Beautiful centerpieces in shape of a flower and a decorative clasp in Sterling Silver. The length of the Necklace is 50 cm. Classic 12 mm. 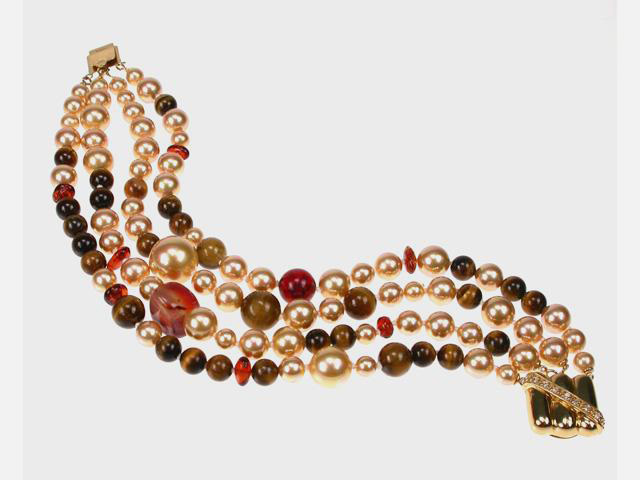 rose Pearls Necklace with a clasp in 18 karat goldplated Sterling Silver and length in 60 cm. 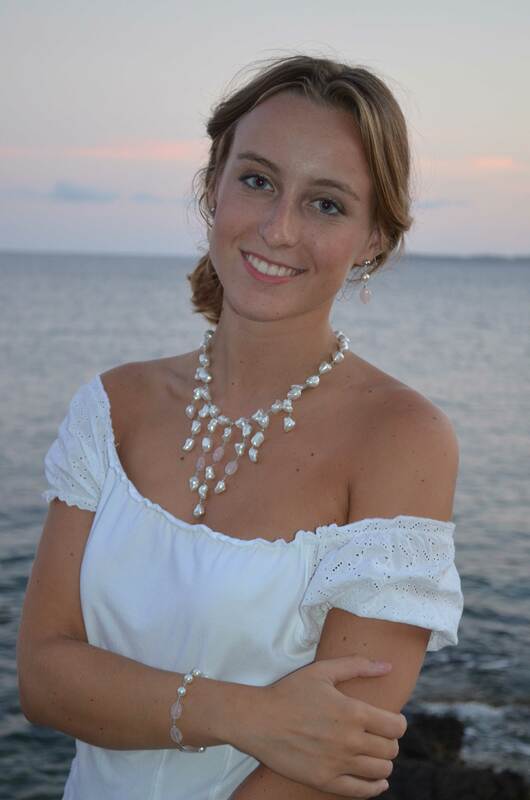 A sweet and classic look - always fashionable!